The Society’s name is: “International Society of Paddy and Water Environment Engineering”, hereinafter referred to as the “Society”. The Presidium shall determine where the Society’s principal office is to be located. The Society’s objective is to contribute to the advancement of science and technology in the field of paddy and water environment engineering. 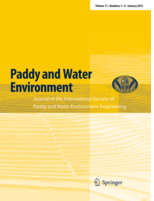 1.Publishing an International Journal titled ‘Paddy and Water Environment’ (hereinafter referred to as the ‘Journal’). 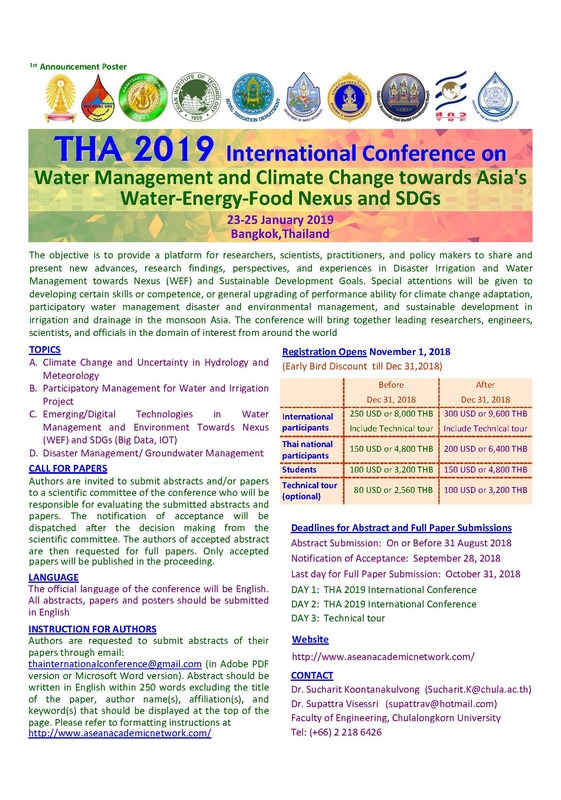 2.Organizing conferences, symposia and/or workshops on paddy and water environment engineering. 3.Encouraging research and studies on paddy and water environment engineering. 4.Recognizing contributions to paddy and water environment engineering and offering awards and honors to such contributors. 5.Implementing such other activities, as and when necessary, to achieve the objectives of the Society. Membership in the Society is available worldwide to subscribers to the Journal, such as scientists, engineers, engineering students, other persons, corporations, and organizations, including regional/national societies. The classes of membership in the Society will be Full Member, be composed of National Society and National Society Individual Members; and Associate Member, composed of Corporate, National Organization, Institutional and Individual Members. A National Society Member will be a regional/national society involved in paddy and water environment engineering. A National Society Member will provide financial support to the Journal. A National Society Member will have voting rights. A National Society Individual Member will be a subscriber to the Journal, who belongs to the regional/national society of the National Society Member. The Full Member class will enjoy special rates of subscription fees to the Journal and registration fees for meetings of the Society. A Corporate Member will be a corporation or an organization that agrees with the objectives of the Society and contributes to the Society. An Institutional Member will be an Institutional subscriber to the Journal. An Individual Member will be a subscriber to the Journal, and who are not National Society Individual Members. Application for membership in the Society will be accepted on guidelines drawn up by the Executive Board. Every person accepted for membership in the Society will be subject to the Statutes of the Society. Any member of the Society may tender termination of the membership. The Office Bearers will comprise the President, the Vice Presidents, and the Secretary General. The Executive Board will manage the affairs of the Society. The Executive Board will comprise the President, the Vice Presidents, the Executives and the Secretary General. The Executives, subject to the proposal of the National Society Members, will be appointed by the President. The Presidium includes the President, the immediate Past President, the Vice Presidents and the Secretary General. The President and a Vice President will be appointed with the consent of the National Society Members, while the other Vice President will be appointed by the President. The Secretary General will be appointed by the President. The President will be responsible for the affairs of the Society. The Vice Presidents will administer the affairs of the Society by assisting the President, act in place of the President when he/she is prevented from attending his/her duties, and perform the President’s duties when the post is vacant. The Secretary General will be responsible for the detailed management of the affairs of the Society under the authority of the Presidium. The terms of the Executive Board Members will be two years. The Society may institute an Honorary President. The Society may institute Advisors. The President, subject to the approval of the Executive Board, may appoint Advisors. Upon request by the President and if deemed necessary, Advisors may express their views to the Executive Board. Meetings of the Executive Board will be held as determined by the President to discuss the matters listed below. 4) Discussing and determining other important matters. Article16:　The Statutes of the Society may be amended by the unanimous decision of the Executive Board. The document, “Statutes of the International Society of Paddy and Water Environment Engineering” will be enforced with effect from January 1st, 2003. This Amendment will be enforced with effect from January 1st, 2011.